Academics discredit claim that levy will increase costs of other goods; Oakland will vote on whether to pass a sweetened-beverage tax this November. At a press conference last Thursday in Oakland's Fruitvale neighborhood, Abdul Taleb stood in front of stalls loaded with ripe tomatoes and avocados. The owner of the Mi Carnal Market on Foothill Boulevard told half-a-dozen reporters why he's opposed to the sugar-sweetened beverage tax appearing on this November's ballot. One reason, he explained, is that the tax could cut into sales of soda pop at his store and hurt his bottom line. Public-health advocates supporting the tax don't disagree. In fact, they say making sugary drinks more expensive by taxing them, thereby reducing overall consumption, is exactly the point. But that's the only thing the two sides agree on. 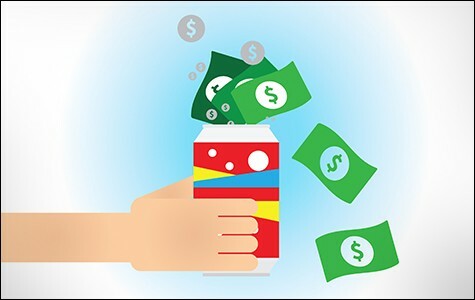 In recent weeks, the American Beverage Association has flooded Oakland with mailers and TV and social-media ads in an effort to brand the sugar-sweetened beverage tax a "grocery tax." The trade group, with members such as Coca-Cola and PepsiCo, claims the tax will cause the price of more than just sugary drinks to rise; it argues the costs of vegetables, bread, and milk will go up, too. Supporters of the soda tax — mostly doctors, dentists, and public-health officials — say this isn't true, and have accused the soda companies of purposefully waging a campaign to mislead the public. With more than two months to go before the vote, both sides are bogged down in a full-blown war to frame the issue. Is it a tax on soda, or groceries? And will a soda tax positively influence people to make better nutritional decisions? Or is it nanny state overreach? According to UC Berkeley associate professor of public health Kristine Madsen, there's already strong evidence that soda taxes shift consumer choices away from unhealthy and artificially sweetened drinks. If true, soda taxes could reduce the number of people who develop diabetes and heart disease. Madsen and several colleagues published a study this week in the American Journal of Public Health linking Berkeley's soda tax, approved by voters two years ago, to a dramatic decline in the consumption of sugary beverages among Berkeley residents. Based on in-person surveys with 2,500 shoppers, Madsen's team measured a 21 percent drop in sugary-beverage consumption in Berkeley after the soda tax was implemented. In Oakland and San Francisco, neither of which have a soda tax, consumption of sugar-sweetened beverages actually increased slightly over the same time period. This research follows-up on a previous UC Berkeley study that reported a noticeable price increase for sugar-sweetened beverages in Berkeley due to the tax. In theory, higher soda prices are causing people to drink less. "Low-income communities bear the brunt of the health consequences of obesity and diabetes, so this decline in soda and sugary beverage consumption is very encouraging," Madsen said. "We are looking for tools that support people in making healthy choices, and the soda tax appears to be an effective tool." But to Taleb, this effective public-health tool looks more like a burdensome cost that will put neighborhood grocers at a disadvantage to bigger competitors like Walmart, or vendors in nearby cities that don't have a soda tax. Taleb said he's worried larger supermarkets will be able to absorb the tax and keep soda-pop prices at a lower level. He fears some of his customers will leave as a result. "I would be backed into a corner," he said. In order to pay the soda tax, Taleb said he will likely increase the prices of fruit and vegetables such as watermelons and lettuce. He also wondered aloud if there might be future attempts to tax ice cream or pancake syrup. "What's next?" he asked. The press conference Taleb spoke at was organized by Joe Arellano, a public-relations consultant working for the American Beverage Association, a trade group representing soda-industry powerhouses. The ABA's state political action committee, funded by just five giant beverage companies, has already spent more than $747,267 to oppose the Oakland soda tax. Supporters of the tax have spent only $23,397. Recruiting grocers like Taleb has been a key part of the ABA's campaign. But besides magnifying the legitimate concerns of small business owners, critics say the beverage corporations are in fact guilty of trying to deceive the public about the tax. "There is no reason why the tax would be spread to other items," Alan Auerbach, professor of economics and law at UC Berkeley, explained in an email. "Aside from there not being any evidence for this type of behavior, the logical foundation for the argument is weak. If retailers can increase prices on other goods that aren't directly affected by the tax, what's keeping them from raising prices now?" Auerbach added that research on the effects of Berkeley's soda tax shows that it didn't result in increased prices on non-sweetened beverages. Even so, the soda industry is sticking to the "grocery tax" label. Two weeks ago, for example, Arellano contacted the Express to explain why he believes the soda tax amounts to an actual grocery tax. "The tax is not on soda," he wrote. "It will be imposed on local storeowners, restaurants and small businesses and they have to pay it to the city on a quarterly basis. Naturally, the money to pay the new tax has to come from somewhere, so small businesses that can't afford to just eat the cost pass it on to consumers in the form of higher prices on everything else they sell." The text of the ordinance, however, suggests that Arellano's argument is untrue. The proposed law states that it is an excise tax on any business that "distributes" sugar-sweetened beverages — defined as any drink that has more than 25 calories per 12 fluid ounces, due to the addition of a caloric sweetener. A distributor who doesn't sell beverages that fit this exact definition wouldn't have to pay the tax. And retailers like Taleb wouldn't pay the tax because it only applies to distributors who sell to stores. The amount of tax a distributor pays is directly determined by the quantity of sugar-sweetened beverages they sell, one cent per fluid ounce, and nothing else. 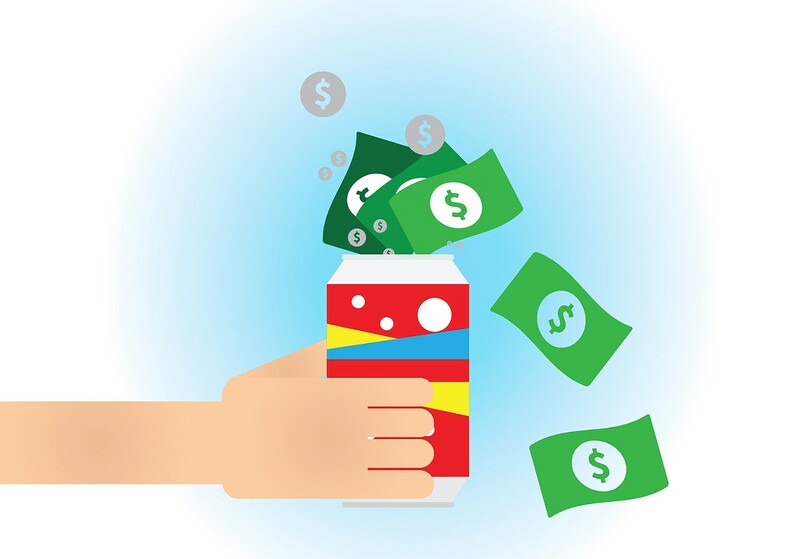 In regulatory filings, both PepsiCo and Coca-Cola have acknowledged that soda taxes are levies on their products that will reduce sugary drink sales and corporate profits, and that's exactly why they're pouring money into the campaign to fight Oakland's proposed tax. For example, Coca-Cola's executives wrote in an investor report earlier this year that "increased or new indirect taxes in the United States ... could negatively affect our business," and they specifically cited excise taxes such as the one Oakland is considering. Coca-Cola's profits were $7.2 billion last year, virtually all of it from selling corn syrup-infused drinks. Correction and clarification: the original version of this story claimed that retail stores would pay the sugar-sweetened beverage tax. This is incorrect. In fact, the sugar-sweetened beverage tax would only apply to distributors who sell sugar-sweetened beverages in a wholesale fashion to retailers or other distributors within Oakland. The law specifically excludes taxation of soda in retail sales to customers.